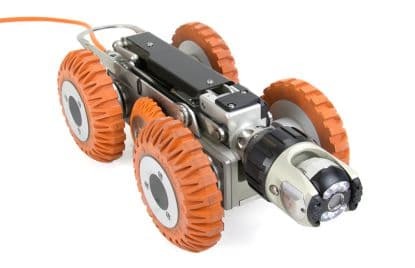 Crawler cameras are robotically controlled machines ideal for sewer or drain inspection. Available with 360° tilt and swivel head and elevation control that can give close-up views of potential problems within the pipeline. First fully portable crawler – Just like a push camera, but with the power and full capabilities of a crawler. 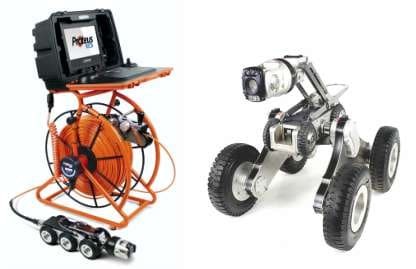 TThe JD7 Voyager is the most advanced ROV Crawler system on the market and is compatible with water, gas and industrial pipelines. 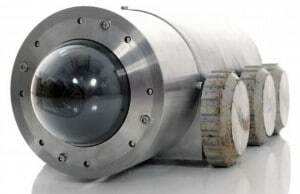 Mini-Cam’s Proteus crawler is an entry-level modular system for the pipeline inspection market.